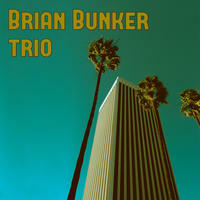 Brian Bunker Trio: A riotous romp through the worlds of jazz, classical and rock. 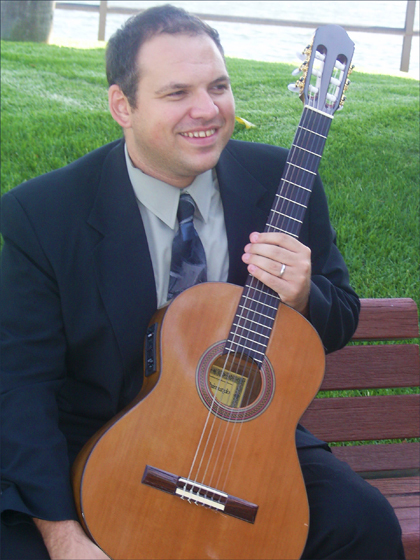 Brian Bunker is a jazz and studio guitar player and media composer, who was born in Orange County, CA, and studied at the University of California, Riverside. His eclectic career has brought him to Alaska and the Caribbean while performing as a guitarist for showbands on Cruise Ships, to vast stretches of Europe and the Middle East while performing for the US Army Europe Band, and to the stages and studios of the American Southwest with groups ranging from Elvis Impersonators to Country Dance bands. He has written for television and film, including placements on 'Keeping up with the Kardashians' and 'Road Rules,' as well as a wealth of smaller productions. He is joined on his first album by Daniel Fritz, a stalwart veteran of jazz dates and indie rock gigs around the Southland, Maurilio Mina, originally from Switzerland but now practicing his unique brand of funky, adventurous electric bass playing in Southern California, and Chris Conner, a true professional who has played with some of the greats of Los Angeles Jazz Guitar history. Together, they've crafted some unique and catchy songs that blend the best of jazz, rock and classical together into their own signature hybrid. Brian Bunker Trio lives in Armed Forces Middle East, USA. Tagged as: Jazz, Alt Rock, Instrumental Jazz, Instrumental Rock, Acoustic Guitar, Electric Guitar, Prog Rock.